What's the best way to avoid an IRS audit of your business? Have your accounting practices and tax records reviewed by a qualified CPA firm. From retail to nonprofits, chiropractors to churches, every tax situation is different, and only an experienced CPA can help limit your liability in the event of an audit. Download our recommended Records Retention Schedule. 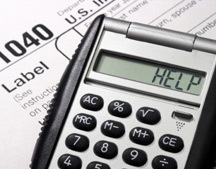 Most small businesses and nonprofit agencies have no intention of cheating the tax man. Unfortunately, good intentions are not enough. Until Congress sees fit to drastically simplify the tax codes, and State and Local Municipalities follow suit, the world of taxes remains a harsh and unforgiving landscape. At Blissman & Co., we'll review your accounting practices and engage in experienced tax advice and education so that the odds of an IRS audit are significantly reduced. To learn more, contact Mike Blissman, CPA & Co., LLC today! Starting in 2010 and continuing for at least 3 years, the IRS plans to audit thousands of small businesses on a random basis. So even if you've carefully avoided all the red flags and used best practices, you could still be called on the carpet. At Blissman & Co., we can be your IRS representative, standing in for the owner and handling the IRS interview process professionally. You'll waste less of your precious time, have greater peace-of-mind, and enjoy the services of an experienced IRS Representative. If you've been called for an IRS audit in the Greensburg, Westmoreland County, or Pittsburgh areas, contact Mike Blissman, CPA & Co., LLC today! 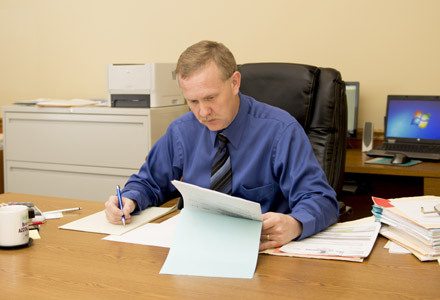 If you need IRS Representation in the case of an IRS audit, contact Mike Blissman, CPA & Co., LLC today. Even if you're not already a client of ours, if you've been called for an IRS audit, you can count on your hometown CPA firm. For almost 20 years, Blissman & Co. has been serving the Greensburg, Westmoreland County, and Pittsburgh communities with customized accounting and tax preparation services. Our focus is the success of local business. Find out what Blissman & Co. can do for you today.